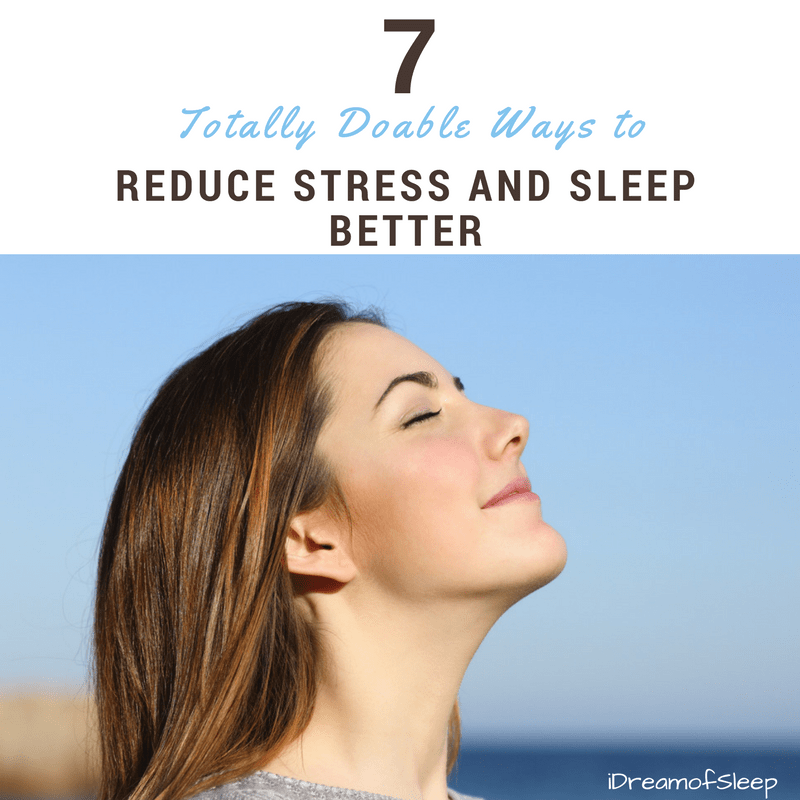 Negative thoughts fan the flames of insomnia and make it worse, but being positive in the face of a sleep starved existence is pretty darn hard. What’s an insomniac to do? 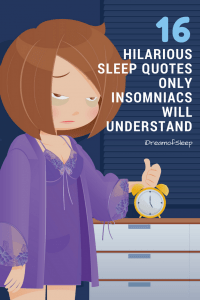 We laugh in the haggard face of insomnia, that’s what we do! 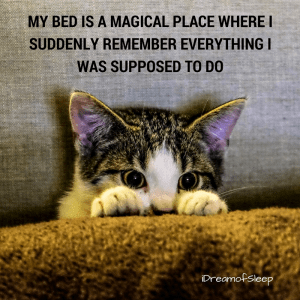 Here’s my roundup of the funniest can’t sleep quotes and sayings only those of us who have lain awake at 3 a.m. can understand. 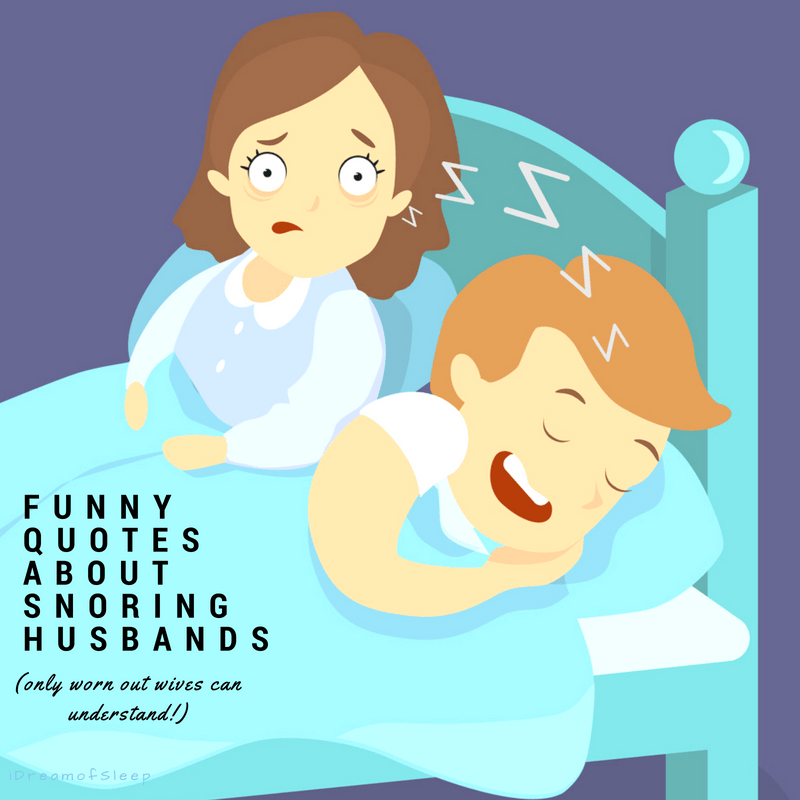 So go ahead and yuck it up and enjoy these hilarious insomnia one liners and let the melatonin flow through your brain! 2 The Best Insomnia Cure Ever! 4 Thanks a Lot, Insomnia! 8 You’re Asleep Already? Seriously? 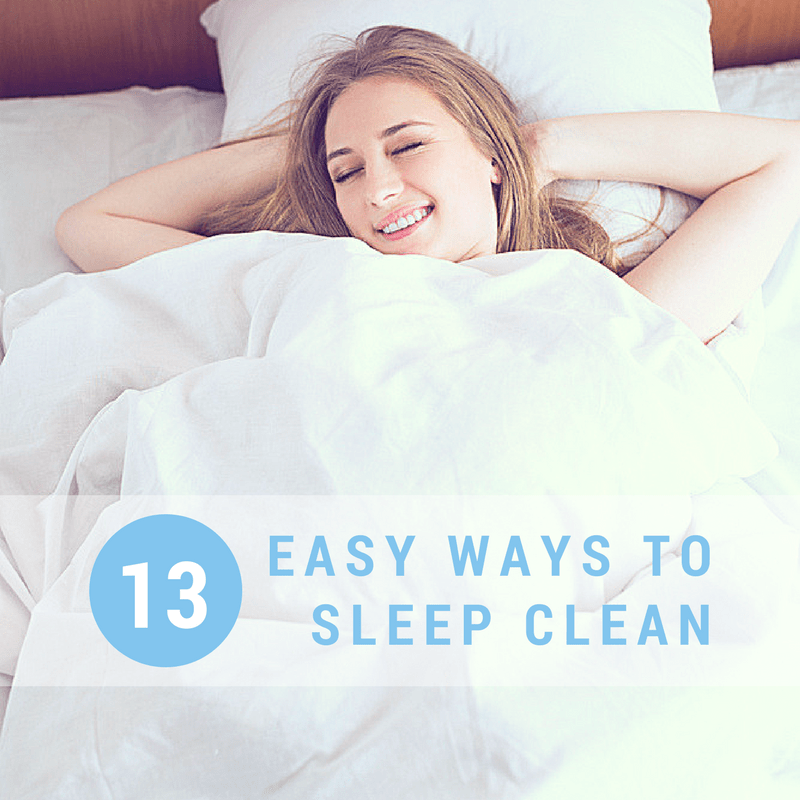 13 Tell Me Again How You’re a Sleep Expert? 14 My face when people tell me to just close your eyes and sleep. 17 Ma’am, Step Away from The Phone. 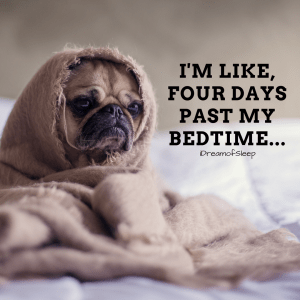 18 What’s your Favorite Sleep Quotes and Sayings? 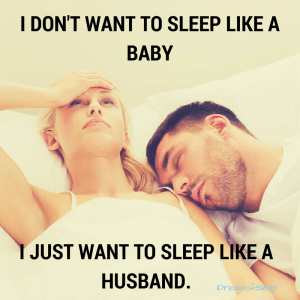 I don’t want to sleep like a baby, I just want to sleep like a husband. The Best Insomnia Cure Ever! 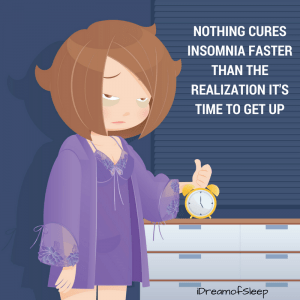 Nothing cures insomnia faster than the realization it’s time to get up. 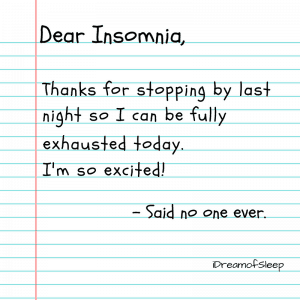 Dear Insomnia, thanks for stopping by last night so I can be fully exhausted today. I’m so excited! Said no one ever. You know what part I like about waking up early? None of it. 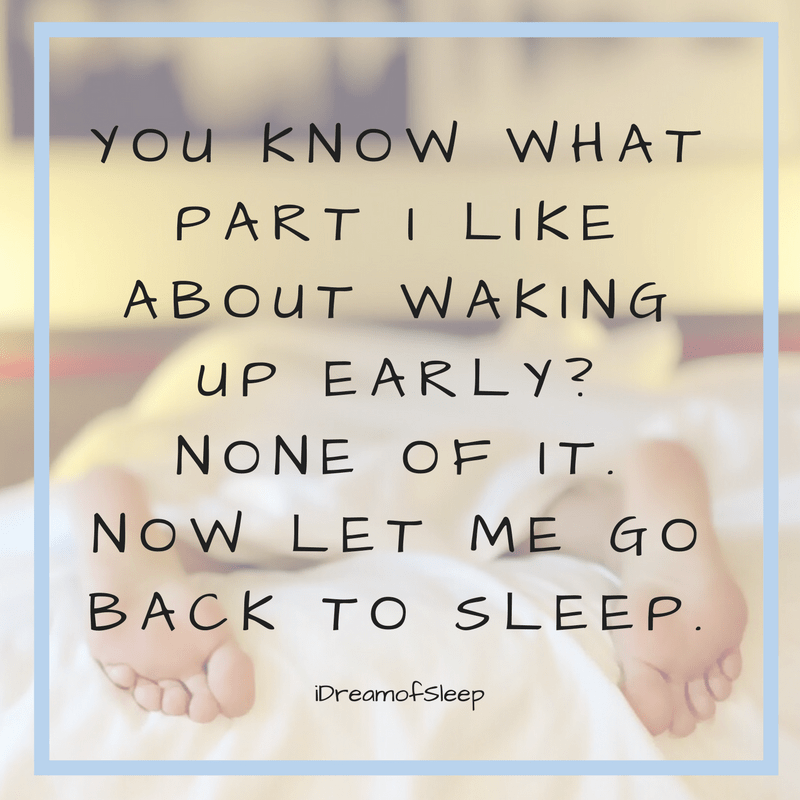 Let me go back to sleep! 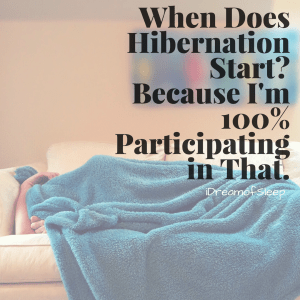 When does hibernation start? Because I am 100% participating in that. 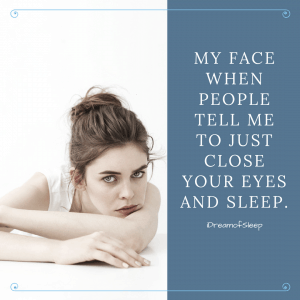 I hate people who can go to sleep as soon as they close their eyes. 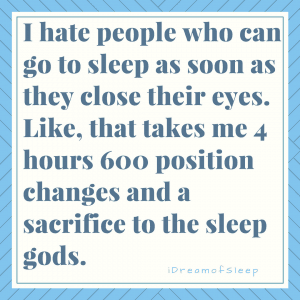 Like, that takes me 4 hours 600 position changes and a sacrifice to the sleep gods. 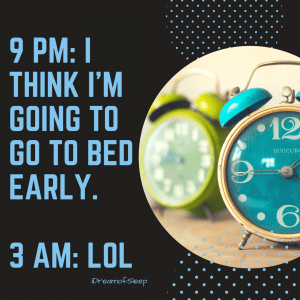 Dear 3 a.m., We have got to stop meeting this way. I’d much rather sleep with you. I always say morning instead of good morning. 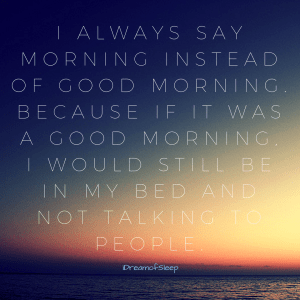 Because if it was a good morning, I would still be in my bed and not talking to people. 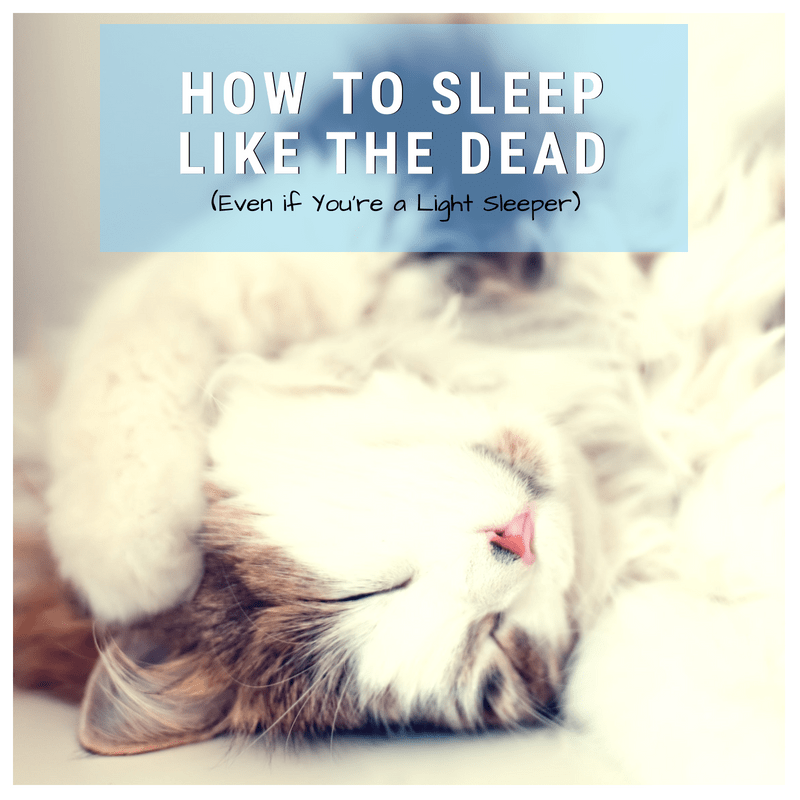 Tell Me Again How You’re a Sleep Expert? My face when people tell me to just close your eyes and sleep. Me: I can’t sleep. 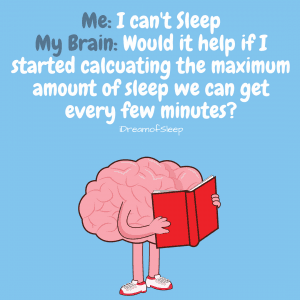 My brain: Would it help if I started calculating the maximum amount of sleep we can get every few minutes? 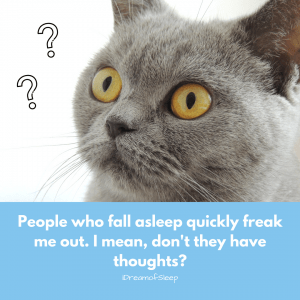 People who fall asleep quickly freak me out. I mean, don’t they have thoughts? Ma’am, Step Away from The Phone. 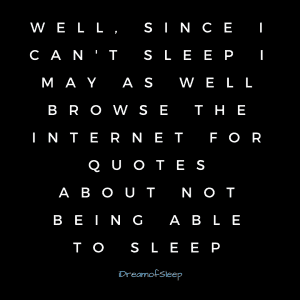 Well, since I can’t sleep I may as well browse the internet for quotes about not being able to sleep. 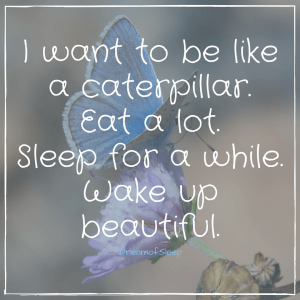 What’s your Favorite Sleep Quotes and Sayings? Sometimes the best remedy for sleep is laughter. 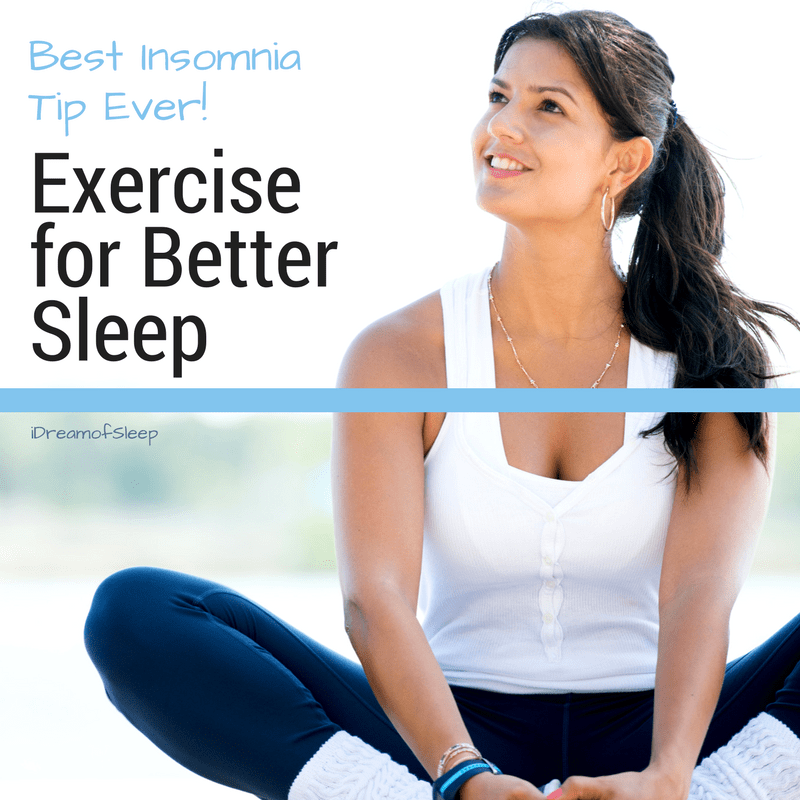 It releases lots of feel good endorphins, and if you believe that Japanese study, a lot of melatonin, too. Sources: Kimata H. J Psychosom Res. 2007 Jun;62(6):699-702.